Prior to last December, there were some big question marks surrounding the potential box office success of James Wan’s Aquaman, but the blockbuster wound up blowing all expectations out of the water. Despite a crazy amount of competition, the film blew audiences away worldwide, and is now the biggest DC Comics adaptation of all time. 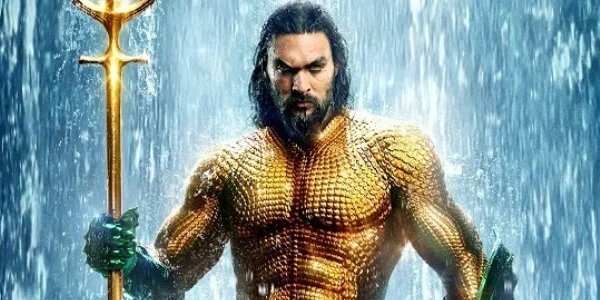 As a result, few were surprised when it was revealed that an Aquaman 2 is in the works, and now the project has apparently hired David Leslie Johnson-McGoldrick to pen the screenplay. The Wrap is reporting this latest development from the making of Aquaman 2, noting that the screenwriter was one of three who worked on the script for the first Aquaman – including Will Beall and Geoff Johns. As you probably could have guessed, there aren’t currently any details available regarding what the sequel will be about, and it is not yet clear if James Wan is going to return to the helm. Wan is, however, serving as a producer on the project along with Aquaman/Shazam! producer Peter Safran. Those who are familiar with David Leslie Johnson-McGoldrick’s work will perfectly understand why Warner Bros. made this move – on beyond the critical and box office success of the first Aquaman. Not only does the screenwriter have a successful history with Warner Bros. that goes beyond the superhero realm, he also has a history with James Wan. The two filmmakers first paired up for 2016’s The Conjuring 2, and he has also written the script for the upcoming The Conjuring 3 – which Wan is set to produce. Warner Bros. has not yet announced when they plan on releasing Aquaman 2, but it will likely be a few years from now as they have a nice slate for DC projects lined up between now and the end of summer 2021. The only DCEU title that’s being released in 2019 is David F. Sandberg’s Shazam! in April, but we also have Todd Phillips’ Joker arriving in October; Cathy Yan’s Birds of Prey (And the Fantabulous Emancipation of One Harley Quinn) coming in February 2020; Patty Jenkins’ Wonder Woman 1984 scheduled for June 2020; Matt Reeves’ The Batman penciled in for June 2021; and James Gunn’s The Suicide Squad on the docket for August 2021. There are, of course, plenty of directions for Aquaman 2 to go in with its story just based on what happened at the end of the first movie and in the mid-credits sequence. For starters, Arthur Curry (Jason Momoa) is now the ruler of Atlantis, and will have to deal with all of the pressures that come with that role. Also, Black Manta (Yahya Abdul-Mateen II) has found a new ally in the Atlantis-obsessed scientist Dr. Stephen Shin (Randall Park), and their intelligence combined could create some serious issues for the underwater monarch. There’s a good chance we will be hearing a lot more about Aquaman 2 in the coming months – and one could even probably place a safe bet right now that we will hear at least some kind of significant rumblings about the project at this year’s San Diego Comic-Con. We’ll continue to be on the look out for all of the latest updates, so stay tuned here on CinemaBlend.